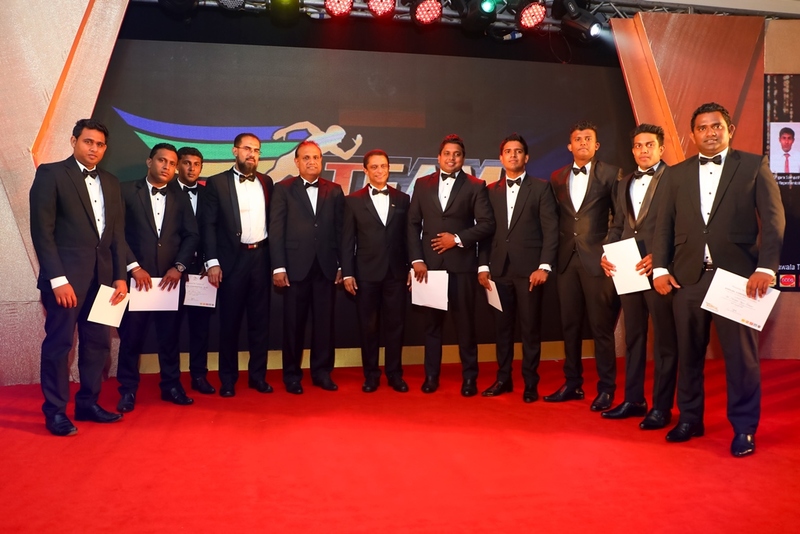 May 26, 2018: Watawala Tea Ceylon Limited (WTCL), the consumer arm of the diversified conglomerate Sunshine Holdings PLC, honoured their outstanding achievers who have excelled during the financial year of 2017/18 at the recently-concluded WTCL Annual Sales Convention 2018. Held at the Lotus Ballroom of Shangri-La Colombo, this year’s gala celebration was organized under the theme of ‘Team Unstoppable’—for having an outstanding 2017/18, achieving the highest sales growth in domestic tea in recent years of 36%, further strengthening their market leadership position with market share increasing from 34.7 to 36.6%, and winning prestigious accolades for their tea brands. 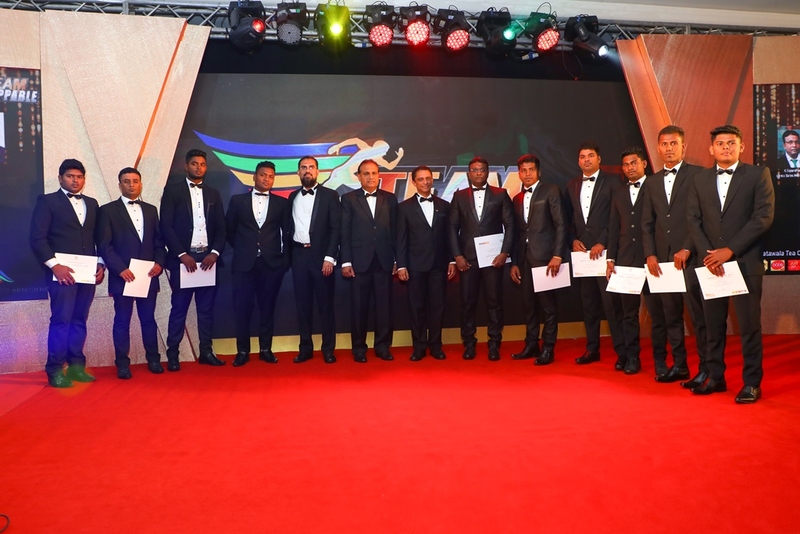 The event was graced by Watawala Tea Ceylon Limited’s Board of Directors, Managing Director, Shyam Sathasivam, Chief Executive Officer, Surith Perera, key members of the Sunshine Group’s leadership team, distinguished guests and employees. 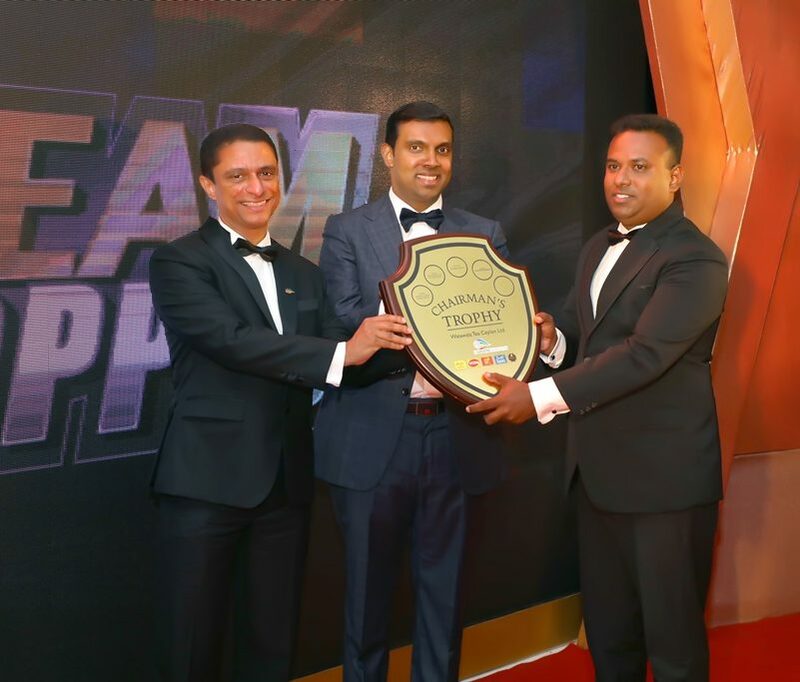 The tea brands of Watawala Tea Ceylon Limited had been recognized several times during 2017 for their superior quality and taste, including the coveted ‘Most Popular Hot Beverage Brand of the Year’ won by Watawala Tea at the Slim Nielsen Peoples Awards. Subsequently, Kantar World Panel recognized ‘Watawala’ as the number1 beverage brand in the country in their 2017 Global Brand Foot Print Report. Ran Kahata, WTCL’s ‘value for money’ brand, won a Gold Effie for their campaign titled ‘One Spoon, Two Cups’ (Eka Hendai Koppa Dekai). A total of 43 awards were presented at this year’s convention under the categories of Unsung Hero, Service, Sales awards including Best and Turnaround Teams. 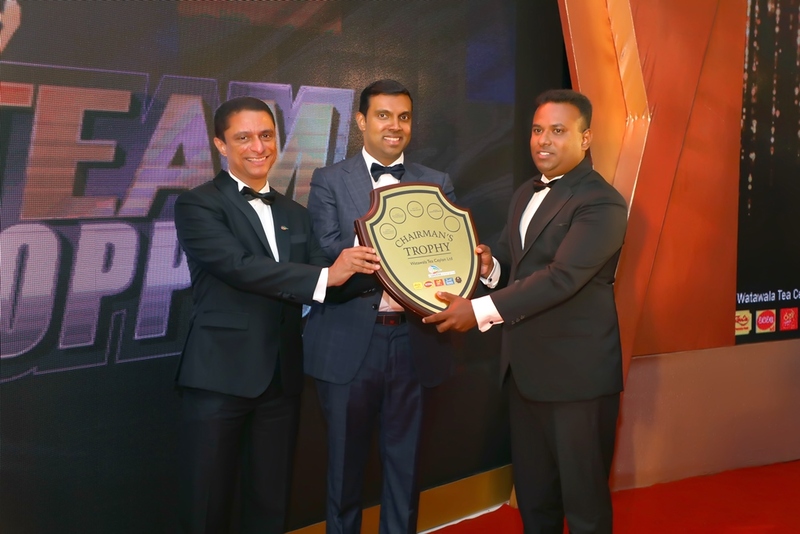 The Chairman’s trophy was presented to Senior Sales Executive Dushantha Samaradiwakara, and Sales Representative Vikum Ranathunge was adjudged as the runner up. Watawala Tea Ceylon Ltd. is the largest branded tea company in Sri Lanka with the highest market share, with a portfolio of 3 brands – Zesta, Watawala Tea and Ran Kahata, appealing to different palates and consumer segments in the country. It has the highest market share in the tea category with three brands: ‘Zesta’, ‘Watawala Tea’ and ‘Ran Kahata’ catering to three distinct market segments. Having built a strong foundation locally, the company has embarked on an expansion programme to capture selected international markets by launching ‘Zesta Connoisseur’, an extension of Zesta to cater to premium international customers.